It is finally time for braising and slow cooking soups and stews. 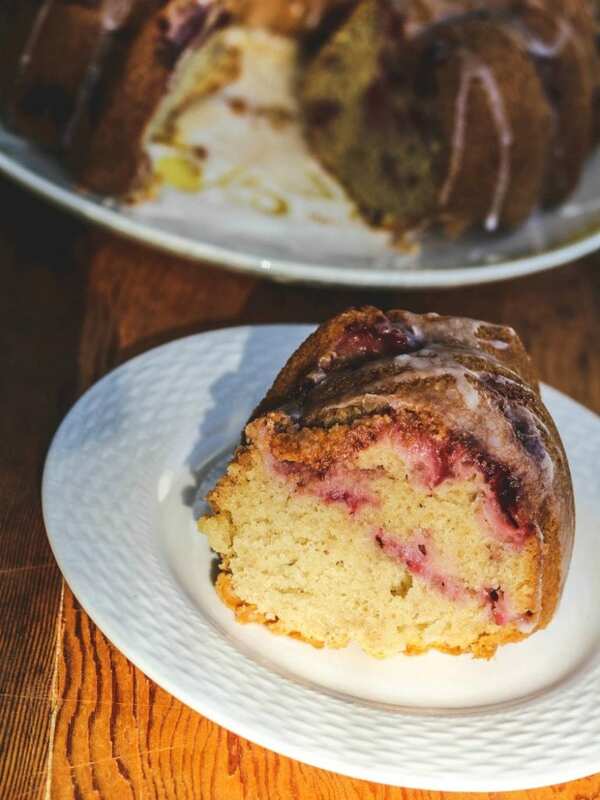 I obviously didn’t get the memo that it is fall and am finally posting this Fresh Strawberry Bundt Cake. It is something I have been meaning to post since May (gasp!). I know if you’ve passed by my blog, they only thing going on here is the sound of crickets! But that does not mean I am not still baking and cooking. If you want to see what I’m doing more frequently, check out my Instagram stories. I promise there will be more fresh ideas happening there! And collecting cookbooks and food magazines. The piles are growing and my husband’s patience is diminishing. Seriously, how many cookbooks does a woman need? Do you really want me to answer that question? I say, as many as that woman wants! It’s truly my only bad habit. If I had vast amounts of extra time, I would challenge myself to post something from a different book every week. But that would take that vast amount of extra time I just mentioned and more organization on my end. Maybe I could get an assistant that would edit my photos and put together the recipe to share with all of you and I could make that project happen. The chances of that coming to fruition are pretty slim to none, so bear with me while I catch you up on what I’ve been baking, cooking and eating. It may no longer be strawberry season, but you perhaps have bags of strawberries in your freezer like I do. If you don’t, you could wait until the spring and then get to baking this cake. We get fresh strawberries at our markets in January (well, this is Florida, and berry season starts early). So if we look at it from that perspective, I’m giving inspiration to my berry loving Florida friends to make this in a couple of months when you can start to find fresh strawberries again. But if you can’t find strawberries right now and aren’t into frozen berries, feel free to substitute the berries with plums diced up in small pieces. Just be sure to remember to toss them in a little bit of flour so they don’t stick to the bottom of the pan. Stay tuned as I will be back most likely tomorrow with something that is a little more fall like!! 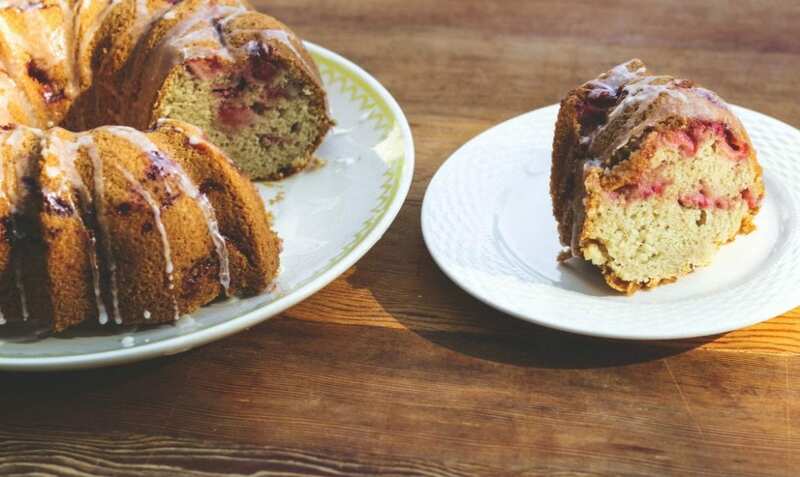 This fresh strawberry Bundt cake is moist and bursting with lemon flavor. It's irresistible and so easy to put together. The perfect spring cake and also wonderful to enjoy for holiday parties! Preheat oven to 350F. 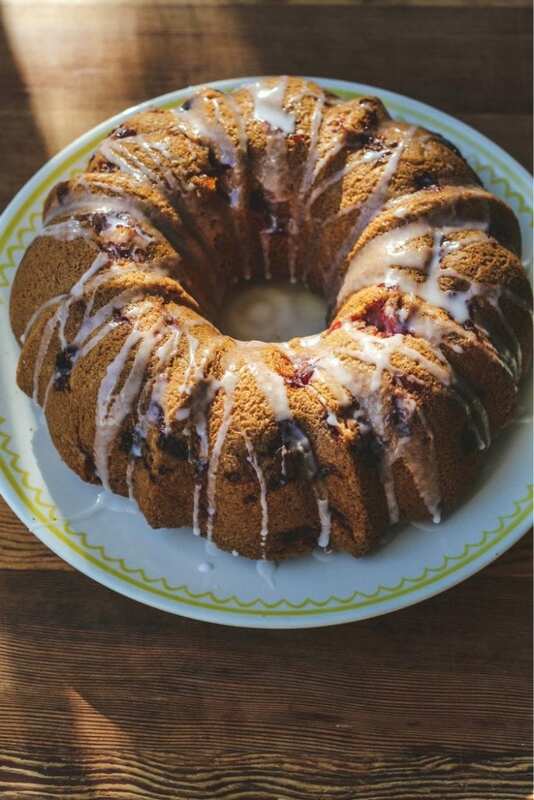 Grease and flour your bundt pan (regular 10 cup bundt pan). I personally prefer to use baking spray for bundt pans. Combine first 3 ingredients in a large bowl; beat with a mixer at medium speed until light and fluffy. Add eggs, beating until incorporated. Stir in vanilla, lemon rind, and 2 tablespoons lemon juice. In a large bowl, combine flours, baking powder, soda, and salt; set aside. Combine yogurt and coconut milk (or regular milk). Add flour mixture and yogurt mixture alternately to margarine mixture, beginning and ending with flour mixture. Toss the strawberries in the remaining 2 Tablespoons flour. Gently fold in the strawberries. Spoon batter into prepared bundt pan. Bake at 350° for 55 minutes or until a wooden pick inserted in center comes out clean. Cool cake in pan 15 minutes. Remove from pan; cool on wire rack. Once cooled whisk together the remaining 2 Tb. of lemon juice and the powdered sugar. If you need your glaze to be thicker, add more powdered sugar. If you like it thinner, adjust with more lemon juice. Drizzle on the glaze. Enjoy! What a great dessert especially for spring! Love strawberries. I love how evenly the fruit is spread throughout the cake; looks delicious! 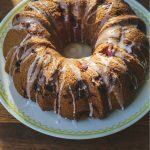 This bundt cake looks like the perfect Sunday brunch! Deliciousness! No, if and or bundts about it 😉 This cake was hands down delicious! Can’t wait to make it again when strawberries start blooming. Ha…I love that! Thank you, Jacquelyn! I love baking with strawberries this time of year. 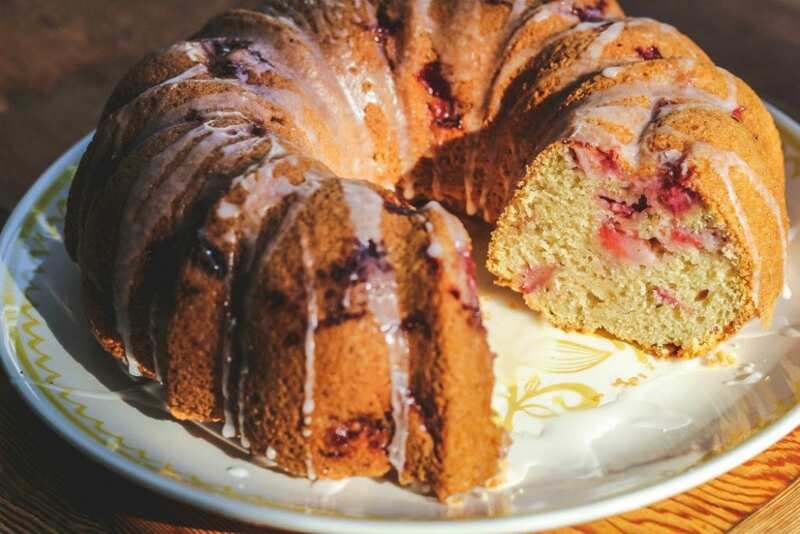 This bundt is perfect!